RECENTLY APPRAISED FOR $436,000! 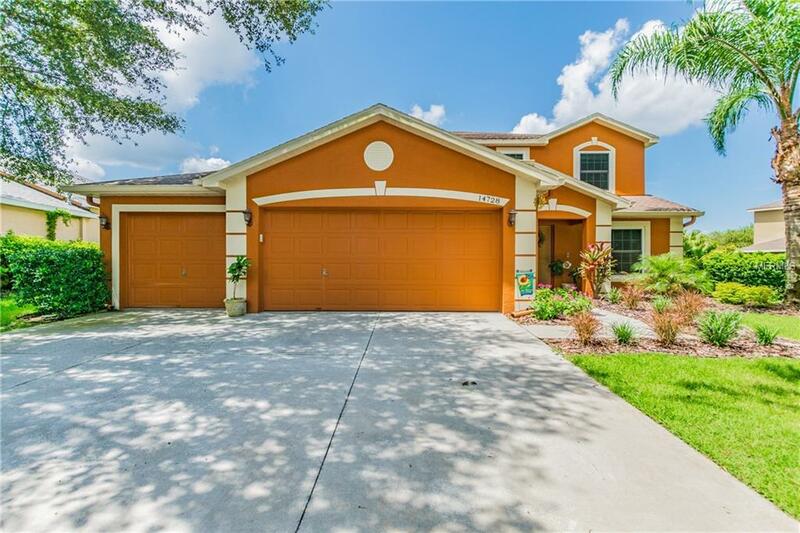 You will simply fall in love with this meticulously maintained (w/ New Energy Efficient Windows & Bamboo Floors) home situated on a gorgeous pond view lot in the highly sought after FishHawk Ranch community. If you are looking for the best of both indoor & outdoor living, look no further than this home! With its extra wide lot, sparkling pool, large screened in lanai, & stunning pond views, this will quickly become your own private oasis. With over 3,250 square feet this wonderful home has plenty of space to move around & w/ its large huge closets throughout the home there is no shortage of storage space. This wonderful home is absolutely loaded with upgrades and updates! The home features: in 2018 a New Pool Pump & Microwave. In 2017: New Salt Cell, New Pool Sweep, New Attic Stairs, New toilet in the powder room, & Electronic front door lock. In 2016: New Windows (Energy efficient, double hung for easy cleaning and lifetime warranty), Bosch Dishwasher, Water Softener, & Bamboo hardwood floors. In 2015: Crown molding, Exterior of the home was painted and New laundry cabinets installed. In 2014: New salt water pool with solar heating, New lanai, pavers, roof extension & outdoor fans & so much more! This home is zoned for the top rated Bevis Elementary school as well as the "A" rated Randall Middle & Newsome High Schools. Call today to schedule your private showing. *3D Interactive Virtual Tour under Virtual Tour Link 1*. (Possible Lease w/ the Right to Purchase available). Listing provided courtesy of Jeffrey Gould Real Estate Llc.